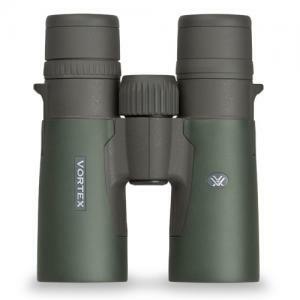 The finest binoculars Vortex offers, the Razors take advantage of the latest engineering and high-definition glass technology to deliver incredible natural color distinction, brightness from dusk to dawn, and razor-sharp detail—all highly necessary for successfully separating game from cover. 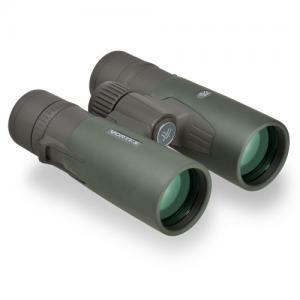 Reach for the pinnacle of high-performance optics with the Razor HD—Vortex best bino ever!! NEW Model 10x42 Razor HD!!! Smaller, lighter, brighter and stronger than ever before, the 2012 Razor HD offers the ultimate combination of advanced technologies and premium components. Packed with the best-quality, hand-selected prisms and premium HD (High Density) extra-low dispersion glass available today. 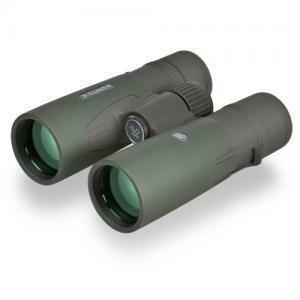 Simply put, you’re looking at a binocular that proves pushing to the edge is worth it. NEW Model 8x42 Razor HD! !